BLOOMFIELD HOTEL Experience the Bloomfield Hotel Lifestyle! An oasis where you can escape the hectic pace of travel and think more clearly, work more productively, rest more refreshingly. An environment that doesn't just shelter you, but inspire and reenergizes you. That's the idea behind Bloomfield Hotel. Situated at the heart of the exciting city of Baguio, Bloomfield offe... more. Hotel in Baguio City, Philippines Whether you are on a vacation or a business trip, Baguio Holiday Villas is the perfect place that would provide you warmth and comfort, giving you the secure tranquility of a distant home. 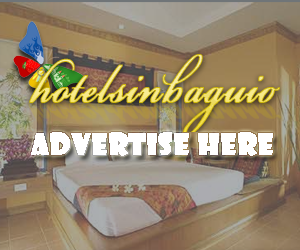 Baguio Holiday Villas, awarded as the cleanest hotel in Baguio City for the past twelve years, offers delightfully appointed villa suites, hotel units and a function space pe... more.